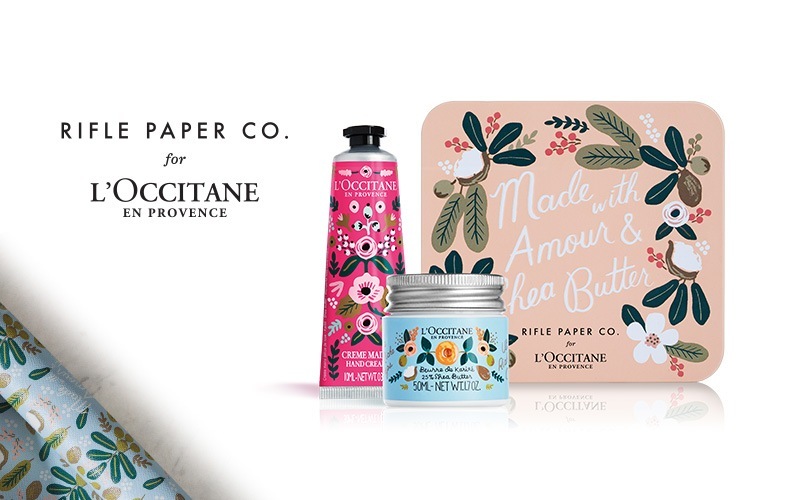 Featuring our L’Occitane best-sellers in a limited-edition box dressed up with Rifle Paper Co. Hand-Painted designs! *Please show this page or a screenshot of this page to redeem this offer in-stores. **Free Gift Offer valid only until February 14, 2018, or while supplies last. Free Gift Offer is only valid in the US. May be redeemed at L'OCCITANE Boutiques with no purchase required or Online with any purchase. May not be redeemed in wholesale partners, such as department stores or at our outlet boutiques. L'OCCITANE reserves the right to substitute another gift of comparable value. Offer can be used only once. Cannot be combined with any other offer, coupon or discount. To redeem, use the code presented above at checkout. To redeem, use AMOUR at checkout. ***$10 Off Offer: Valid January 16 – February 14, 2018. Must meet $40 threshold excluding taxes, shipping and sale items. $10 Off Offer is only valid in the US. May be redeemed at L'OCCITANE Boutiques or Online. May not be redeemed in wholesale partners, such as department stores or at our outlet boutiques. L'OCCITANE reserves the right to substitute another gift of comparable value. Offer can be used only once. Cannot be combined with any other offer, coupon or discount. To redeem, use the code presented above at checkout. To redeem, use AMOUR at checkout.